I recently read this article about Millennials in the workplace written by a friend, Dave Berke. What you may not know about Dave is that he has not only survived but thrived in some of the harshest conditions. Now that he has transitioned out of the public sector and into the private sector, we can all access his truth and wisdom on The Platoon Hut or through Echelon Front. Let's take Dave's wisdom to heart and adjust our attitude and action plan to leading Millennials well! The Problem with Millennials in the Workplace? You. One of the most common issues I am asked to discuss when talking with clients is how to work with millennials. The appearance of a generation gap is stark, and the descriptions of many younger employees are not flattering: Entitled, lazy, unmotivated, disconnected, and the list goes on. My answer is always the same. The answer is leadership, plain and simple. The negative attributes of millennials are the same as every generation, as are the positive attributes. Remember, there are millennials right now fighting terrorists in combat, leading billion-dollar companies, and succeeding in every way imaginable. The issue isn’t about a generation, society, social media, or any other external factor. It’s about your ability to lead. Like everything with Extreme Ownership, this is about you. 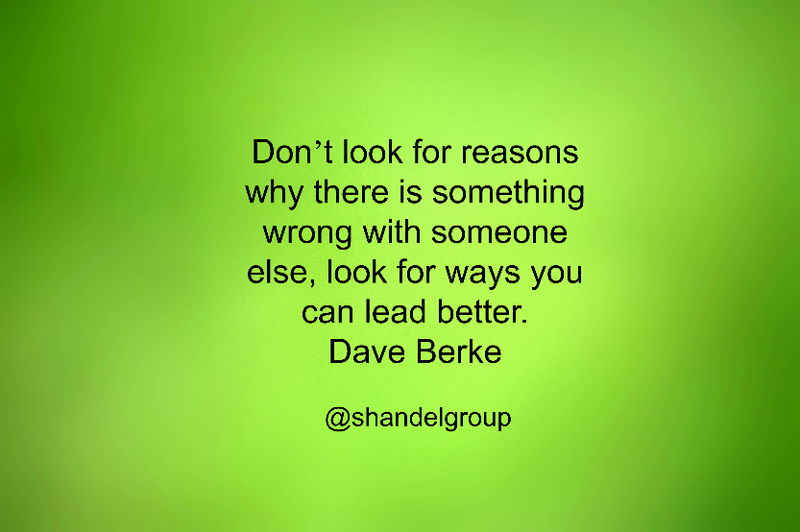 Don’t look for reasons why there is something wrong with someone else, look for ways you can lead better. The moment you accept that the problem is someone or something else is the moment you accept failure. If you have an unmotivated employee, of any age, develop your relationship and find out what motivates them. Do you have a team member who is disconnected? Give them ownership of a problem and bring them into the fold. Does someone act entitled, give them a task and a team so they can learn responsibility. These approaches are simple, but not easy. Leading people is never easy. Just remember millennials are people, just like you and me. What they need more than anything, is leadership.